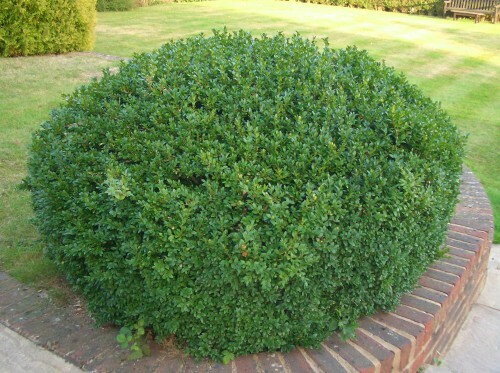 Box is a fairly common tree in British gardens and is a native to Southern Britain. 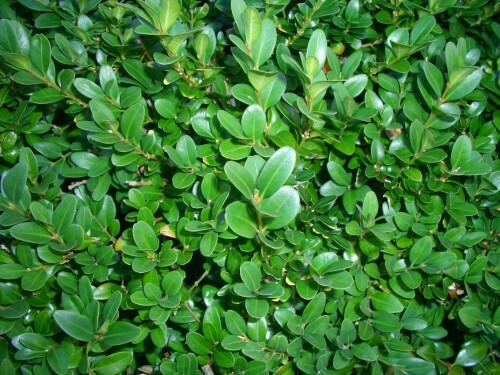 However, it is usually seen in a dwarf form as an ornamental shrub or hedge rather than as a tree. If left to grow it can reach up to 9 metres. The leaves are small (15 - 25 mm long), stiff and leathery. It has small flowers in April/May. The leaves can be used for medicinal purposes and the wood for carving and musical instruments.